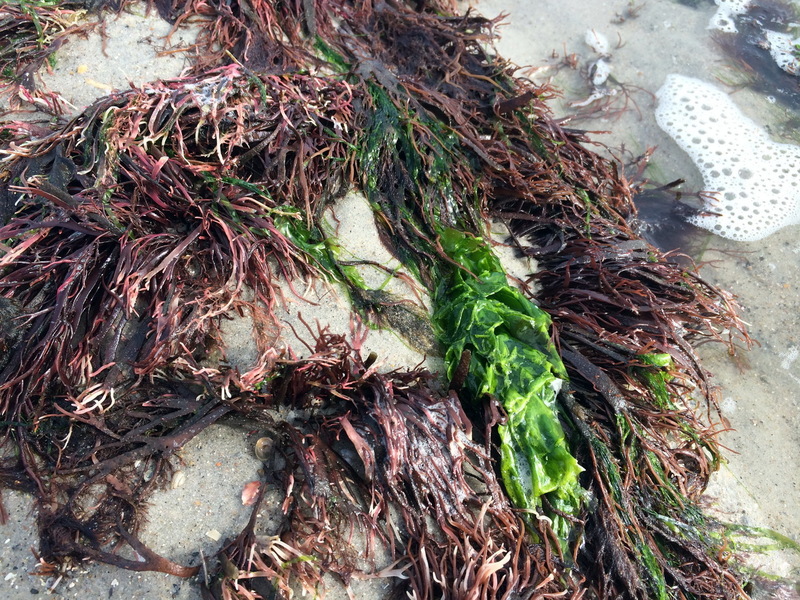 Sea Lettuce, Ulva sp., and unidentified red (or brown?!) 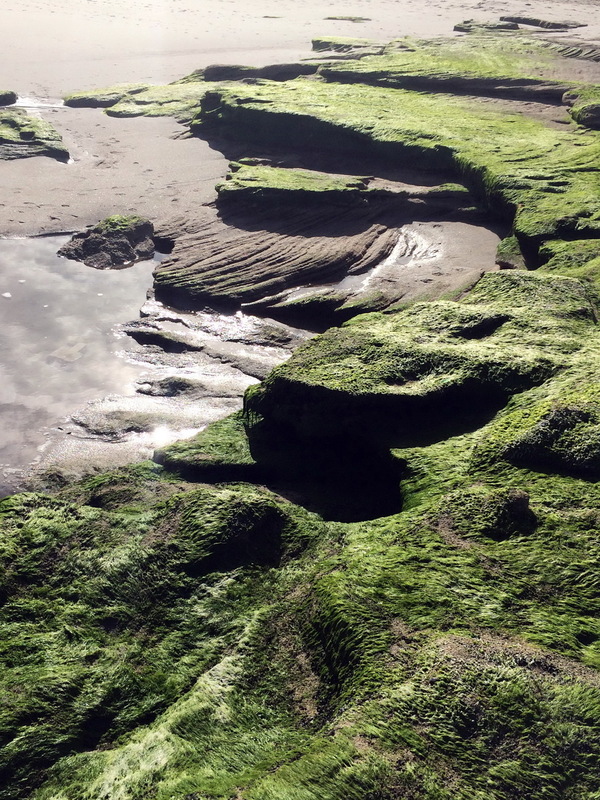 algae. 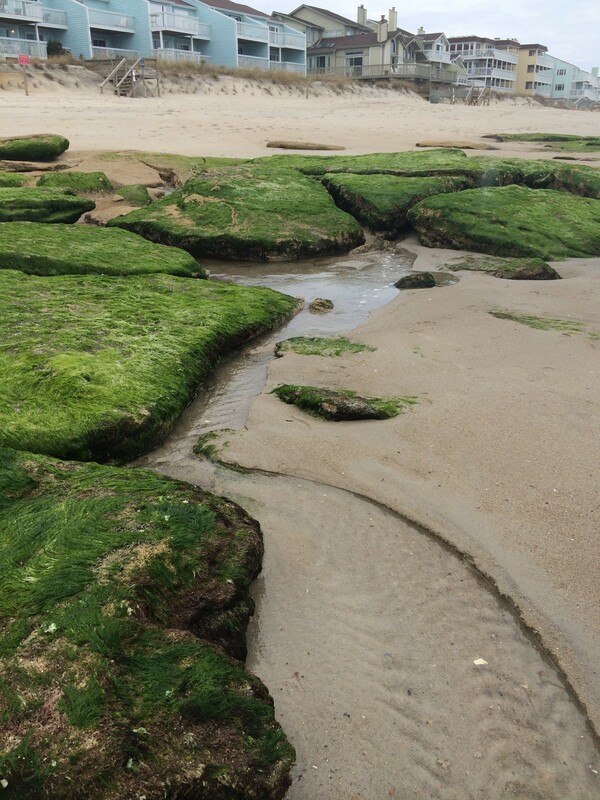 A rushing stream that carves its way towards the retreating tide is fresh(ish) water, emerging from a portion of the Castle Hayne aquifer that reaches the surface. Flattened ledges are covered in various algaes, including Sea Hair / Enteromorpha spp., Sea Lettuce / Ulva spp., and, at noticeably lower elevations, a pinkish red seaweed we couldn’t identify. Shorebirds were having a field day (har!) 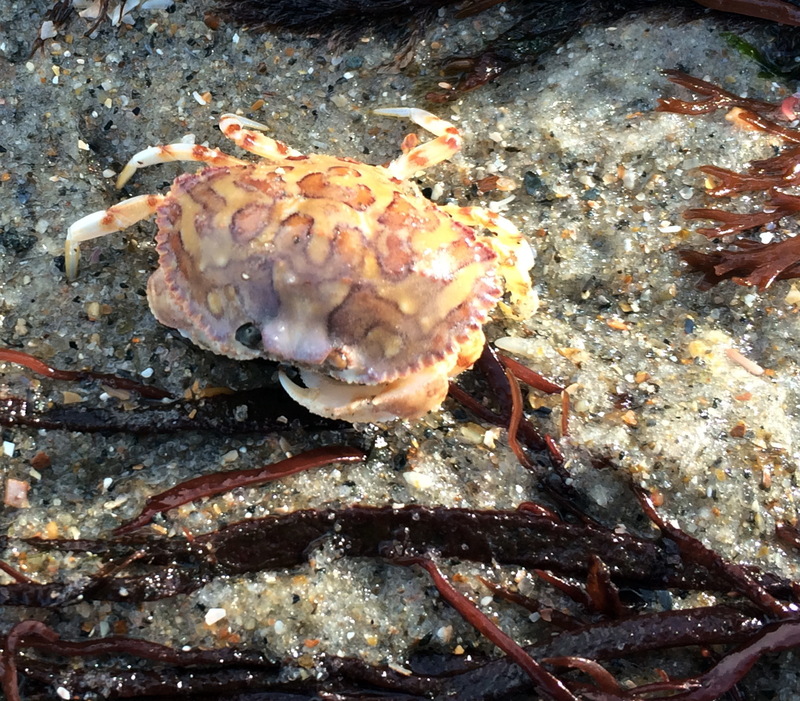 , as were a few Forbes Sea Stars and Calico Crabs. 1. Frankenberg, Dirk. 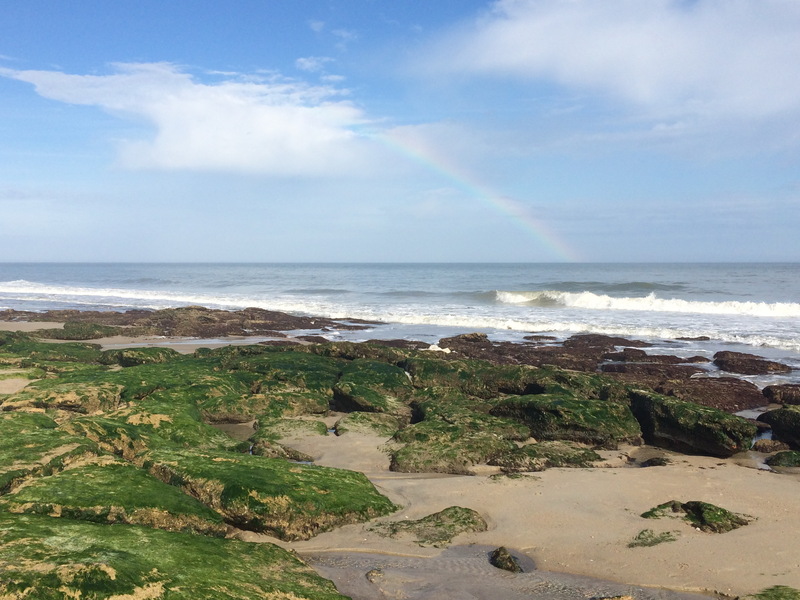 The Nature of North Carolina’s Southern Coast: Barrier Islands, Coastal Waters, and Wetlands. Chapel Hill: U of North Carolina, 1997. Print. 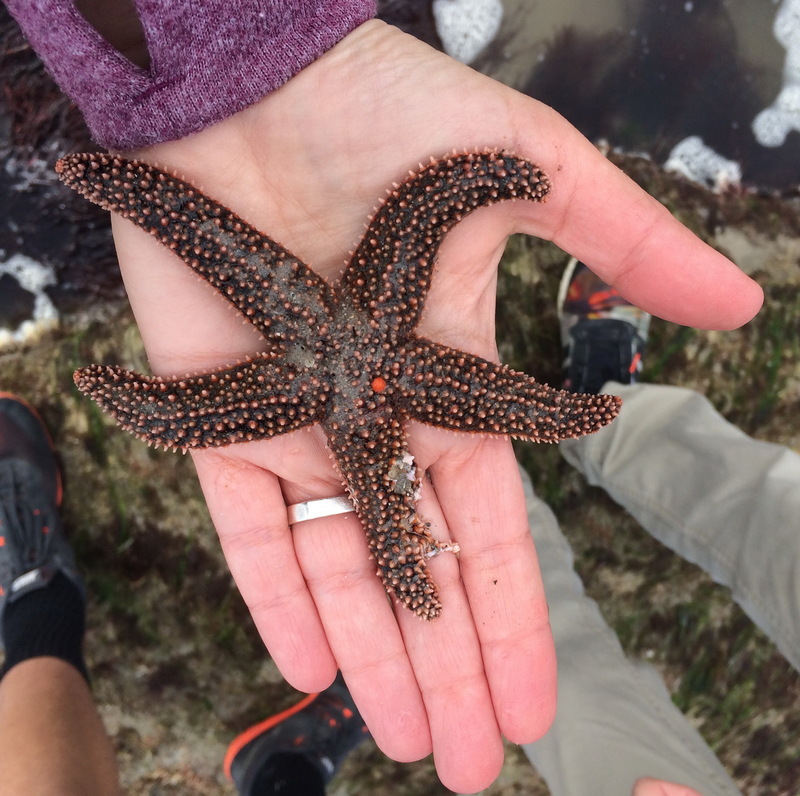 Forbes Sea Star, Asterias forbesii – the orange spot is its madreporite, where water is brought into the vascular system. OUCH. 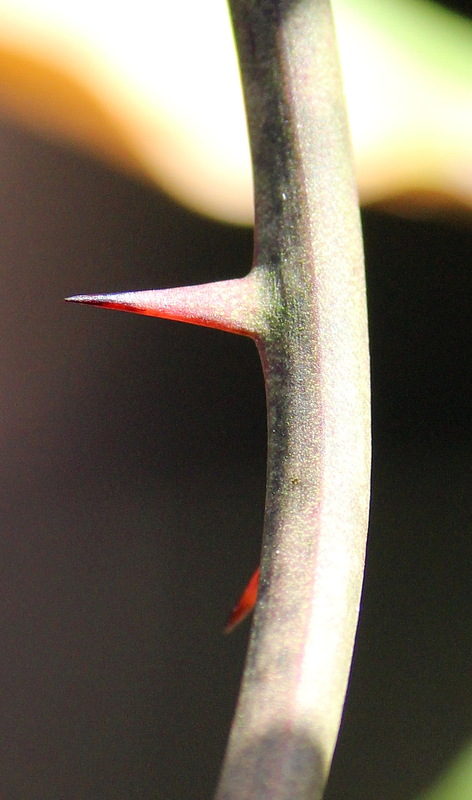 Scurfy angled stem and thorn of Smilax bona-nox, Saw Greenbrier, Catbrier. Spiny leaf margins – think this young plant is also S. bona-nox. 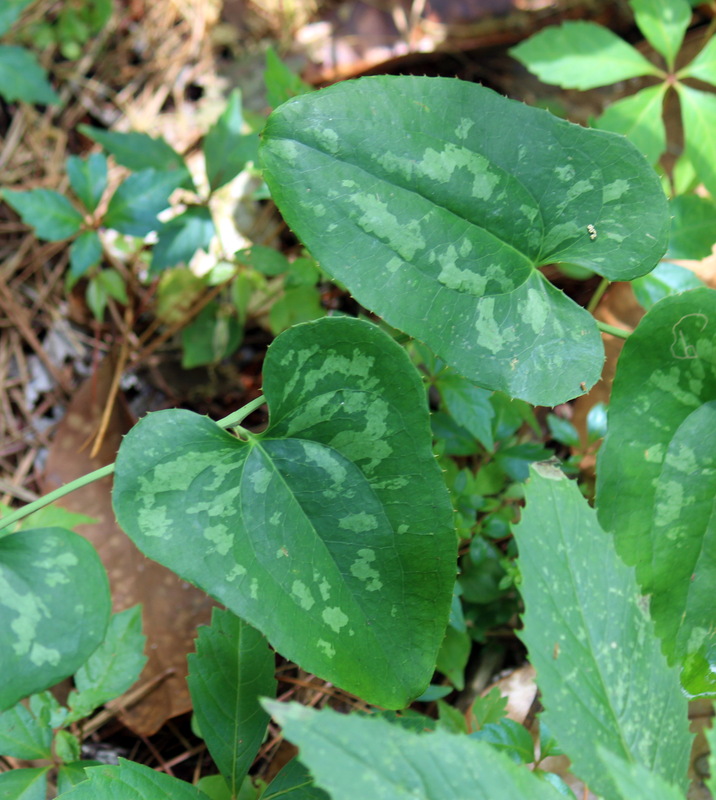 SE NC is home to eleven species of Smilax, known collectively as the Greenbriers, or Catbriers. Members of this genus can be found in wet to dry sites, entwined in lower tree branches and scrambling over shrubs, though they are most often “noticed” when one has fish-hooked into your thigh. Smilax species don’t receive much love from the gardening community, but this tenacious group of lianas is a valuable wildlife resource, both as shelter and forage. All of the woody species in SE NC climb via paired stipular tendrils which are thigmotropic – they begin to coil in response to touch. 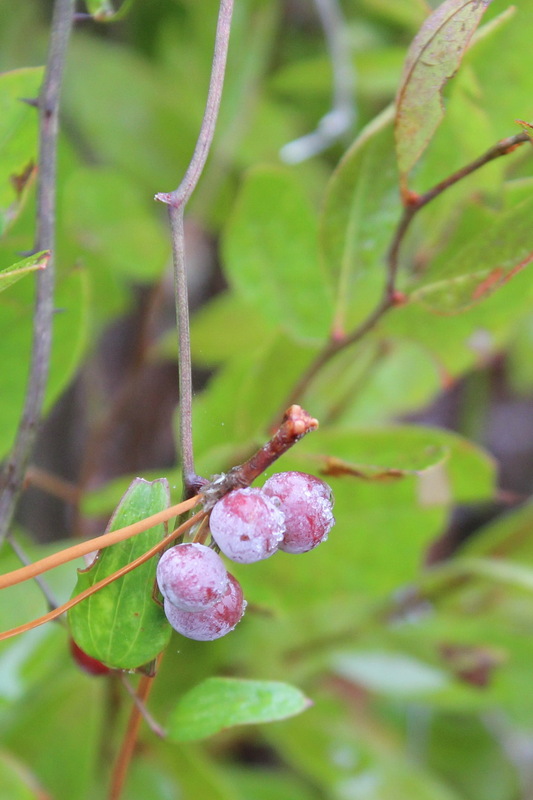 almost-ripe fruit of Smilax auriculata, Dune Greebrier. Smilax bona-nox (top) and Smilax smallii, Jackson-vine (bottom) grow together at the edge of our yard. Glossy leaves, robust growth, and minimal thorns make Jackson-vine a commonly-used landscape plant in the SE. 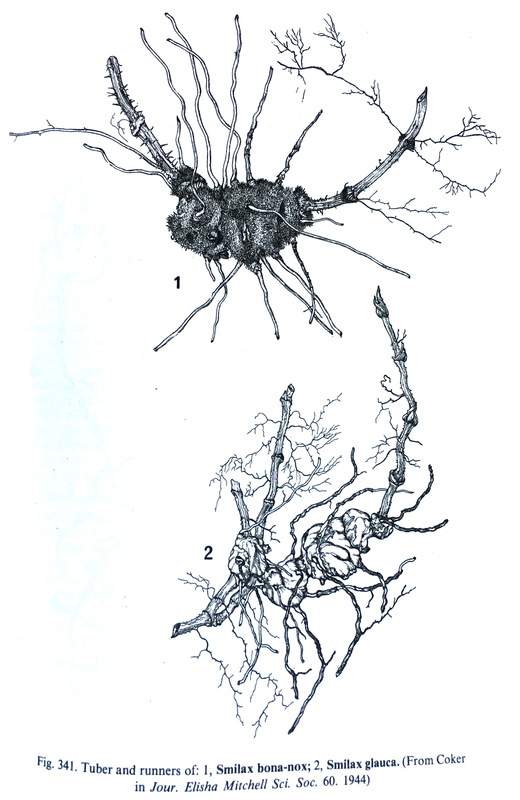 Large tuberous rhizomes of some species were eaten as mush, and were also used by the Miccosukee and Seminoles to produce a red flour or thickening agent called Conti Chatee. 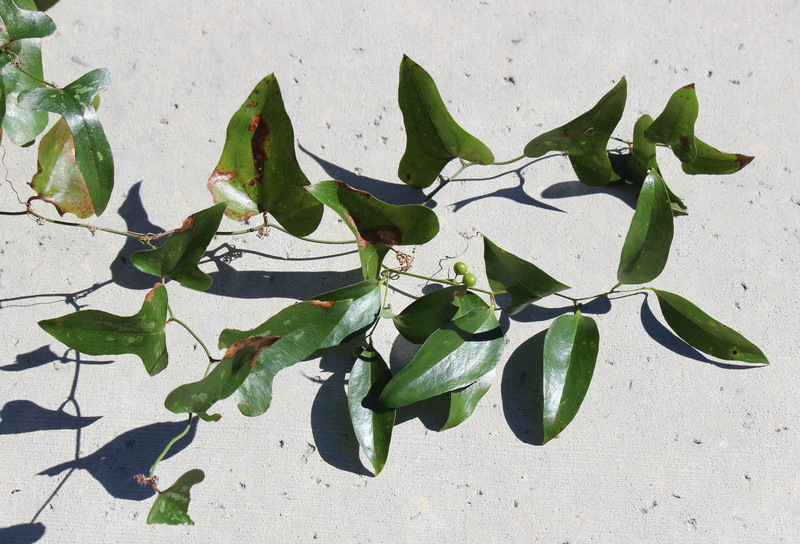 (2) Sarsparilla is a common name for a number of more tropical Smilax spp. that have a long history in herbal medicine. Smilax laurifolia, Bamboo- or Blaspheme-vine, on Pinus serotina, Pond Pine. 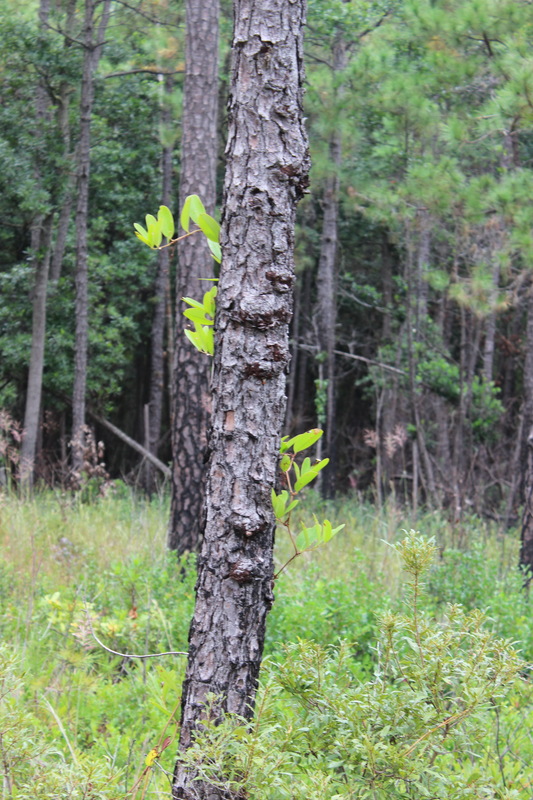 Ascending leaf habit and species association with Pond Pine are good field identification cues. Wagner, David L. Caterpillars of Eastern North America: A Guide to Identification and Natural History. Princeton, NJ: Princeton UP, 2005. Print. Small, John Kunkel. Manual of the Southeastern Flora. New York: Hafner Pub., 1933. Print. Godfrey, Robert K., and Jean Wilson. Wooten. Aquatic and Wetland Plants of Southeastern United States: Monocotyledons. Athens: U of Georgia, 1981. Print. 1741 miles away from home. 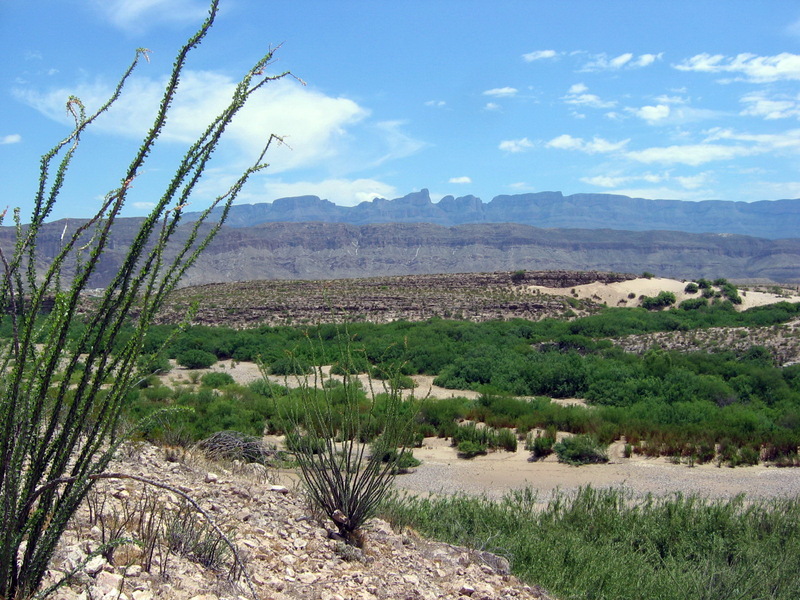 Big Bend National Park, another view – looking south towards Mexico, May 2005. Stunning, isn’t it? Birds don’t acknowledge political borders. 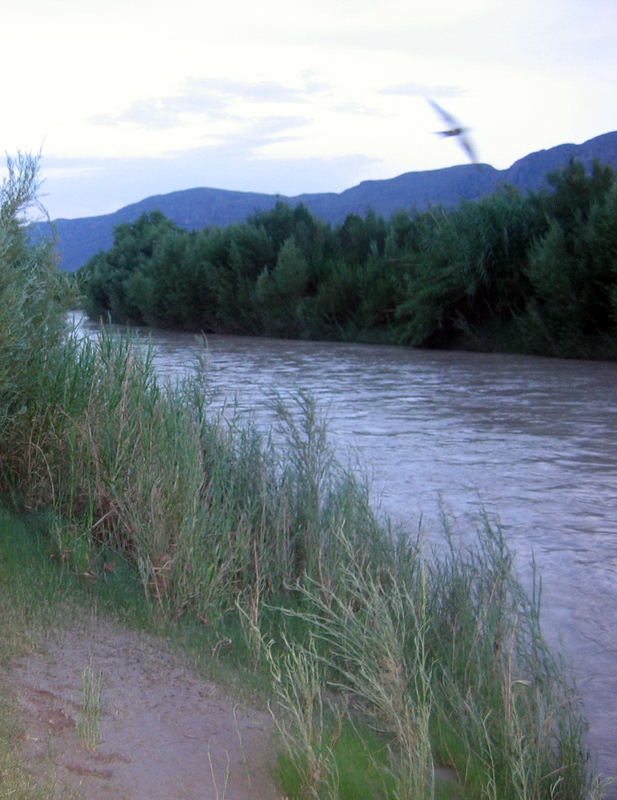 The banner photo is a twilight view of Mexico, looking across the Rio Grande from our campsite at Cottonwood Campground in Big Bend National Park. The photo was taken on May 28, 2005, when we were moving to coastal NC from Seattle, WA via Cruise America camper. 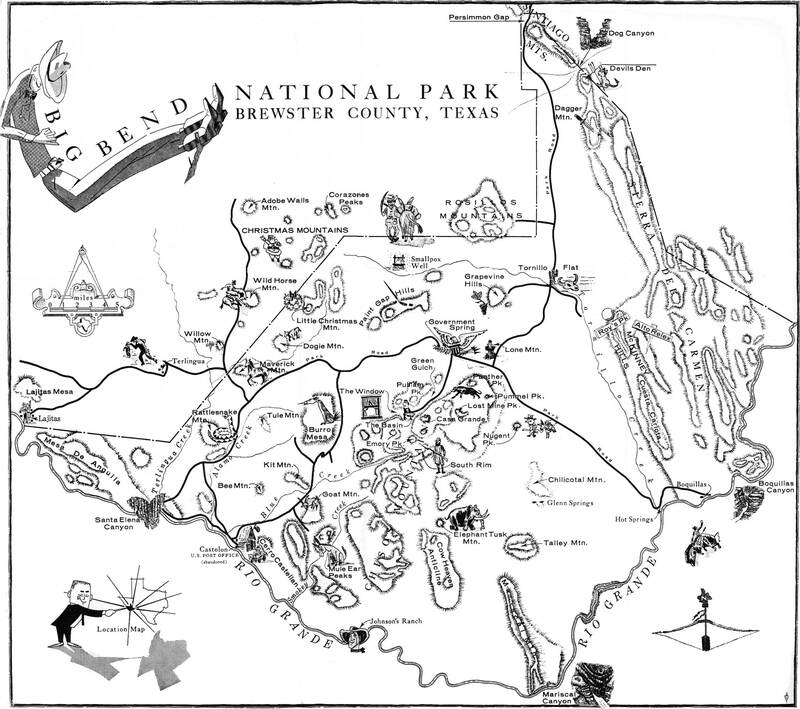 The cross-country journey included 11 National Parks, and as many or more state parks and wilderness areas. We were fortunate to have the opportunity to see so many national treasures. It was a reminder that the UNITED (?) States includes an AWESOME bio-geographical range to complement our cultural diversity. In nature, diversity is life. Not yours to control, Donald. 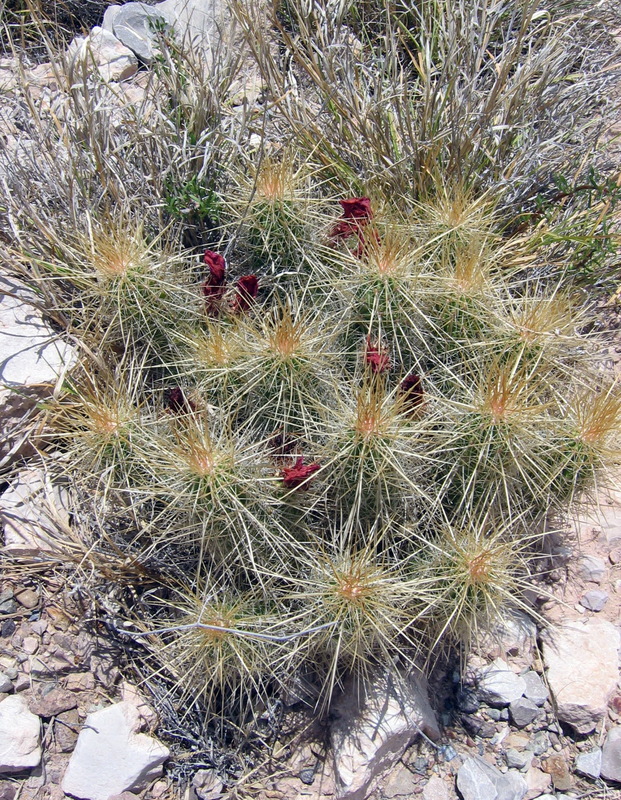 Chihuahan vegetation – Ocotillo, Fouquieria splendens, in foreground. 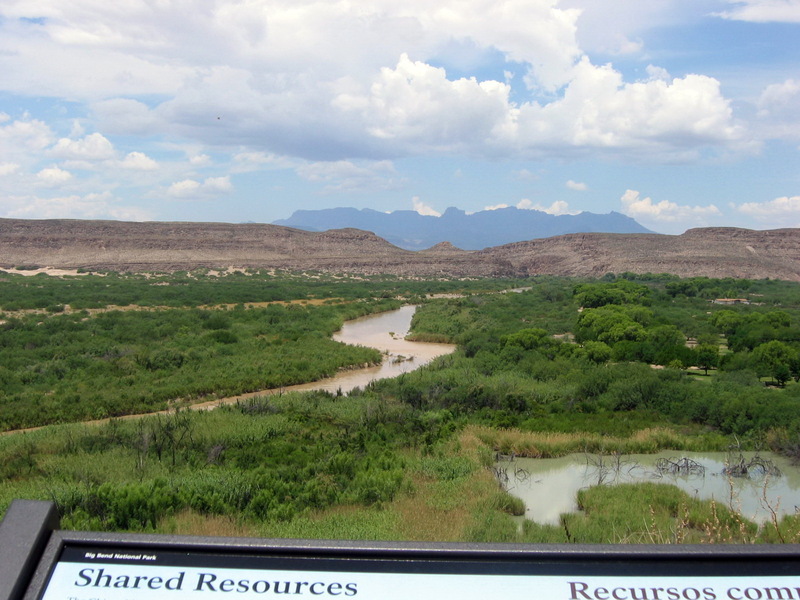 The Rio Grande forms part of the border between Mexico and the United States. This portion of the river measures anywhere from 889 miles to 1,248 miles long. Like most rivers, it is dynamic – changing width, depth and path with the seasons. 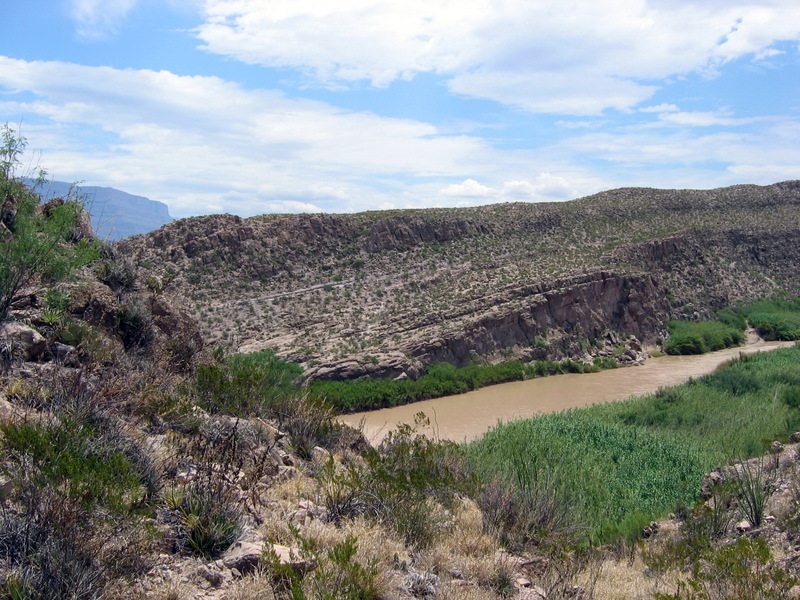 In our 3 days camped in Big Bend NP along the river, we watched all sorts of wildlife move along and across by foot, wing, and fin. It was a constant reminder that nature’s edges are shared resources, not defined by political boundaries. 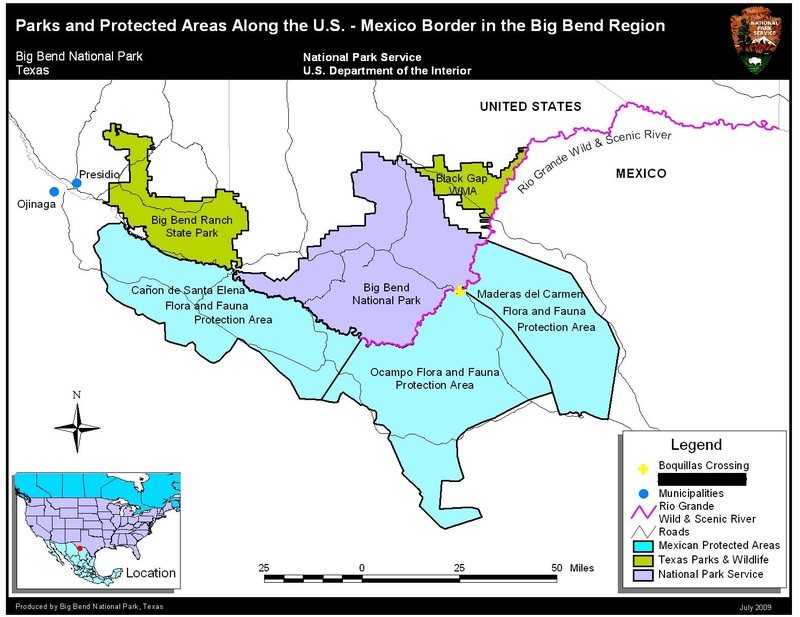 More recently, the Greater Big Bend Coalition has continued efforts to establish an international park, petitioning TX congressman Will Hurd, and previous Secretary of Interior Sally Jewell and President Obama in September 2016.
today’s executive order. 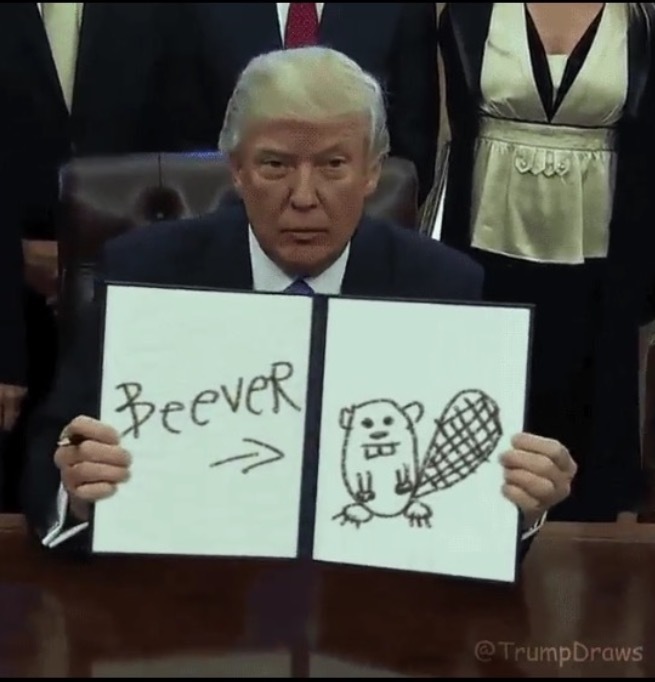 thank you @TrumpDraws / Twitter. Even if you’ve been hiding under a rock since January 20, you’re probably aware of the surreal garbage coming from the new “administration.” From muzzling of public science agencies and threats to eviscerate the EPA, to introducing legislation that opens up our National Parks to drilling, to demanding the construction of a Mexican-funded border wall, it’s as if there’s a gold-tinted drunk-with-power evil marionette plotting the end of the world. Or, if you prefer a fun parasite analogy, consider the possibility of host manipulation. 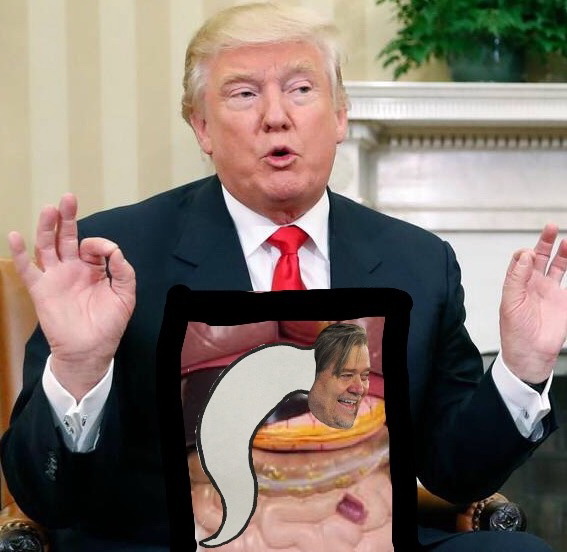 looks like a raging infestation of Platyhelminthes bannonii. on a beach in Maine, Acadia National Park. In any case, it is clear that Forty-five is not concerned about an apocalypse or any sense of future, because it inhabits a gilded egg that will have potable water, air-filtering systems, and and endless supply of Lays for sustenance. It is easy to get caught up in the comedy that comes from this idiocracy, but if you care about the future of the planet and humanity, it’s time to step up. Executive orders and new legislation that affect your life, liberty, and pursuit of happiness are arriving at automatic weapon pace. Call your congresspeople. March. Get even more involved with your local environmental non-profits. 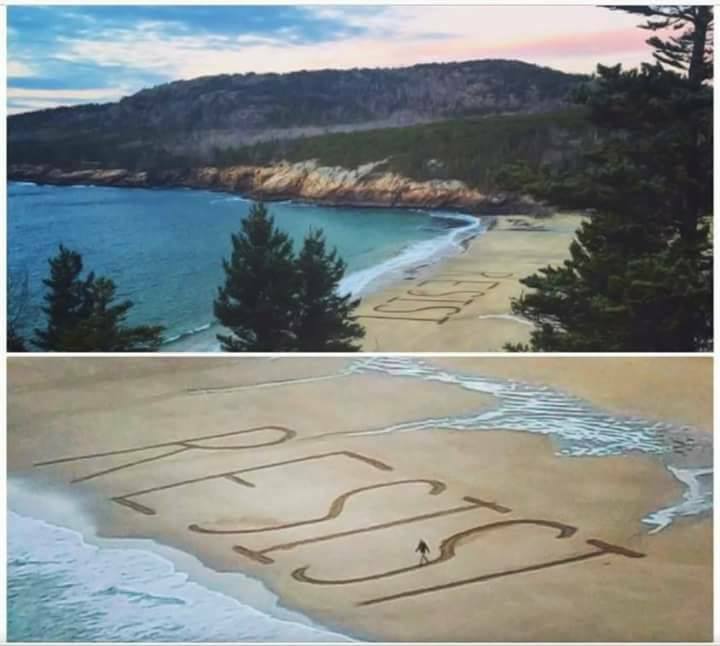 RESIST. SAVE NATIONAL PARKS. SAVE SCIENCE. NO WALL. NO DRILLING. Hey, community of Donald – sit on this.